Tianjin Tennis is a brilliant pearl near Haihe River. It grows with the 600-year historical culture of Tianjin by tasting the Ripe Pear Cake and listening to the humorous Crosstalk and Allegro. Certainly, this is the most special tennis racket you have ever seen. It shows our love to Tianjin Open! The frame of the racket is covered by Yangliuqing New Year Poster, a famous kind of artwork made in a town located in the west of Tianjin. Light blue, as the background color of the tennis racket, stands for the historical culture of Tianjin, a historical city built along Haihe River, the mother river of Tianjin. Lots of Tianjin local customs and snacks can be seen on the racket. Those are, Paper-cut, Facial Make-up, Crosstalk, Allegro, Snuff Bottle, Porcelain, Lantern, and Clay Figurine Zhang, as well as Tianjin city flower, Chinese rose. Actually, tennis racket has another meaning, that is, the growth of Tianjin Open. Under more and more care and patience, it will be more colorful with the joy of harvest as a happy ending. Next, you can easier to see the two kites on the poster. 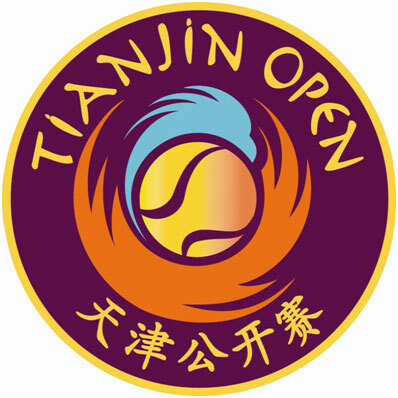 But you may not know the logo of WTA Tianjin Open. It is a dancing phoenix embracing a tennis ball. The inspiration came from the beautiful design of Mr. Wei, the famous kite-making craftsman in Tianjin. 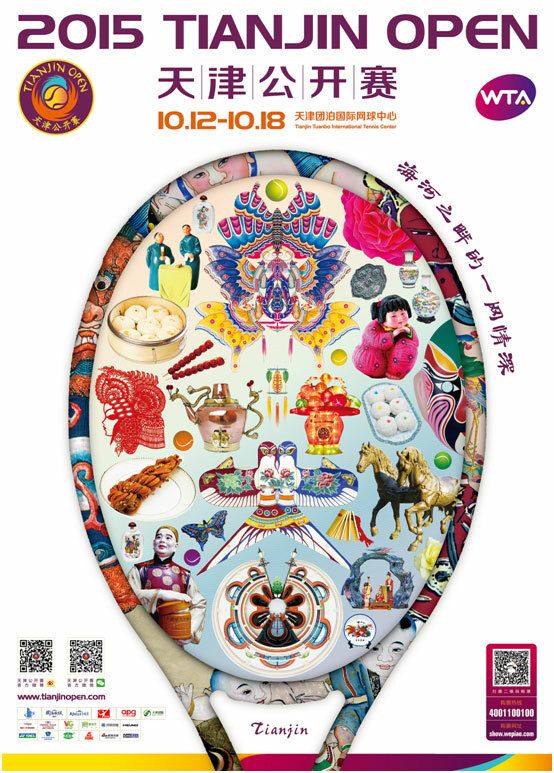 This October is the time to watch Tianjin Open, and also the time to enjoy delicious food. As the saying goes, refill energy to watch tennis with the snacks such as Go Believe steamed bun, candied haws on a stick, big dragon teapot, as well as the crispy 18th street fried dough twists. Your stomach will like them. Accompanied with the tasty Tianjin snacks and amazing tennis matches, this is unique Tianjin style. Do you like it? Although this is only a tennis racket on the poster, it shows the real love to Tianjin Tennis. The most unique tennis racket for the most special you. You will enjoy feeling the tennis culture at Haihe riverside in Tianjin. This October, WTA Tianjin Open is here waiting for you at Tianijn Tuanbo International Tennis Center.